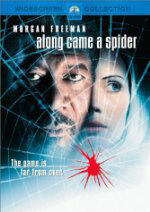 adapted as "Along Came a Spider"
Synopsis: A missing little girl named Maggie Rose. A family of three brutally murdered in the projects of Washington, D.C. The thrill-killing of a beautiful elementary school teacher. A psychopathic serial kidnapper/murderer who calls himself the Son of Lindbergh. 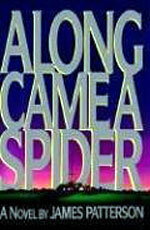 He is so terrifying that the FBI, the Secret Service, and the police cannot outsmart him-even after he's been captured.